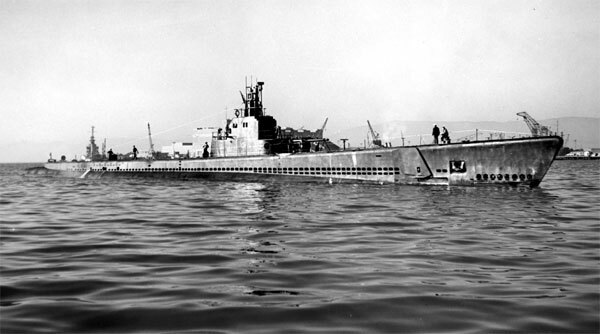 The following men were lost while serving on USS Herring (SS-233). If you are a relative or a friend of any man lost on this boat, please contact us. Also, if you are interested in our efforts to establish a permanent memorial for the men of USS Herring on the island of Matsua, near the site of the loss of the vessel, please contact us. Please note: Reports published in 2016 in Russian media sources of the discovery of USS Herring were incorrect. There have been additional unverified reports of an object assumed to be a submarine found in a survey conducted off Matsua in June, 2017. We will continue to follow any and all information on possible searches for the vessel. For a brief history of the boat, please see The Loss of USS Herring. *Louis Hill Jones died in non-sinking event. Note: Research clearly shows that Herring crew member Clyde D. Fleming was not aboard the boat on her final patrol. He transferred off Herring on 20 May 1944, and survived the War. He was serving on USS Louisville (CA-28) when the War ended, and served on numerous other vessels in the Navy until at least 1954. He is not listed in NARA, Navy Casualty, DPAA, ABMC, or on the COMSUBPAC page. Sources: muster rolls of USS Herring and USS Louisville. He died on 11 March 1993. Origin of discrepancy (84) found in Sub Losses (1946 and 1963), and in Christley. to the State of Alabama. 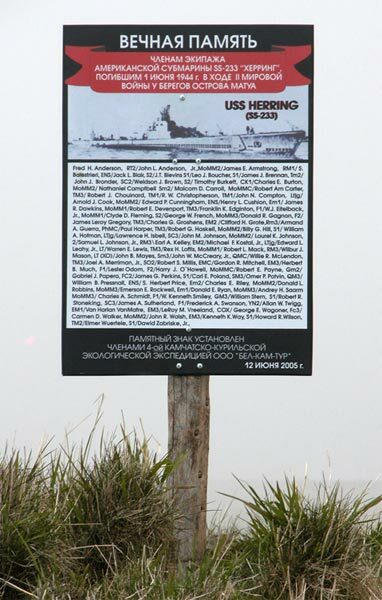 Plaque overlooking site of Herring's loss at Point Tagan, Matsuwa Island, Kuriles. Photo courtesy of Evgeniy Vereschaga.